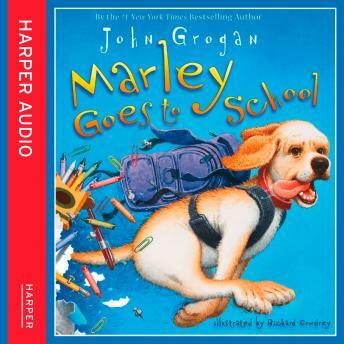 Packed with action and hilarious antics, this is the third picture book about Marley, who first appeared in the phenomenally bestselling novel, 'Marley and Me'.It's the first day of school and Cassie is all set to go. So is her dog, Marley!Although he's told to stay, Marley digs a tunnel out of the backyard and sniffs his way to school. As he roams the halls looking for Cassie, he finds trouble instead. From wolfing down hot dogs in the cafeteria to setting free a bunch of mice in science class, Marley won't stop until he locates his best friend. This lovable and rowdy dog may not be much of an academic, but he's full of school spirit!